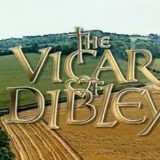 When the ancient vicar of Dibley dies suddenly, the parishioners are surprised to find that the Bishop has appointed a woman as their new vicar. Geraldine Grainger, the new vicar, is aided by the verger, Alice Tinker and opposed at practically every turn by David Horton. In 2004, it placed third in a BBC poll of Britain’s Best Sitcom. The Handsome Stranger – Geraldine is depressed. as she has conducted a hundred weddings but is still single herself. An attractive young couple arrives to take up a weekend cottage – Harry and Rosie Kennedy. 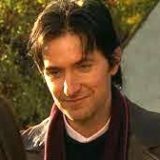 Geraldine is smitten by Harry and is relieved when she finds out that Rosie is his sister, not his wife. Happy New Year – It’s the vicar’s fortieth birthday and the villagers club together to buy her a present – an evening at a speed-dating session. Most of the other male participants are all council members. Geraldine is cheered, however, when the parish council all agree to back her support for the Make Poverty History campaign after watching a moving film about orphans in Africa.